Prince George’s fourth birthday has been marked with a new official portrait. 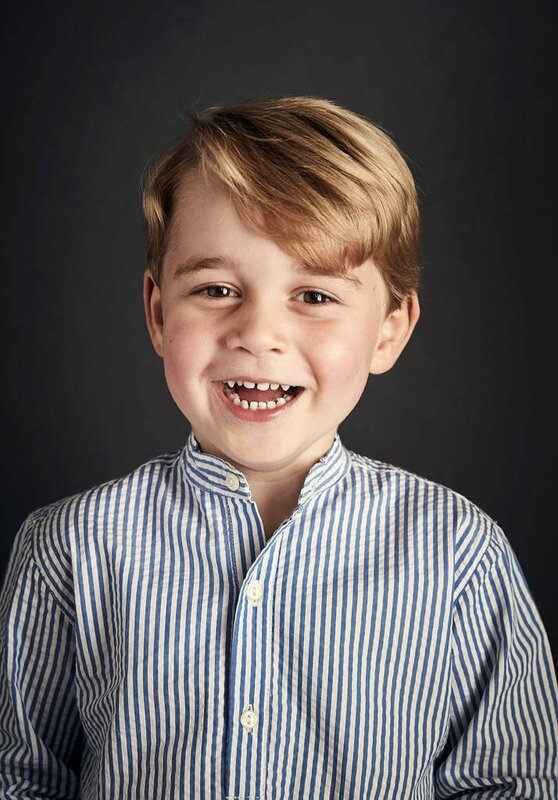 The new picture, taken at Kensington Palace ahead of his birthday on July 22, captures a smiling future king. Prince William and Kate Middleton were “delighted” to share the photograph taken by royal photographer Chris Jackson, Kensington Palace said. Prince George has spent the run-up to his birthday on a tour of Poland and Germany with his parents and his sister, Princess Charlotte. Prince George Alexander Louis – known as His Royal Highness Prince George of Cambridge – was born on July 22, 2013. “The Duke and Duchess are very pleased to share this lovely picture as they celebrate Prince George’s fourth birthday, and would like to thank everyone for all of the kind messages they have received,” Kensington Palace said in a statement. Getty Images royal photographer Chris Jackson, who took the photo at the end of June, said: “I’m thrilled and honored that the Duke and Duchess of Cambridge have chosen to release this portrait to celebrate Prince George’s fourth birthday. Earlier, Prince William gave his children a guided tour of a helicopter at the Airbus factory in Hamburg on the last day of their official tour of Germany and Poland. Prince George tried on a pilot’s helmet while Princess Charlotte played with buttons in the cockpit. In September, Prince George is due to start school. Prince George will go to Thomas’s Battersea, a private preparatory school located a few miles from the family residence in Kensington Palace in London, where the family will be based.